This is the page for Alumni Association pictures and stories. It will also serve as a page for your class' activities, stories and pictures. 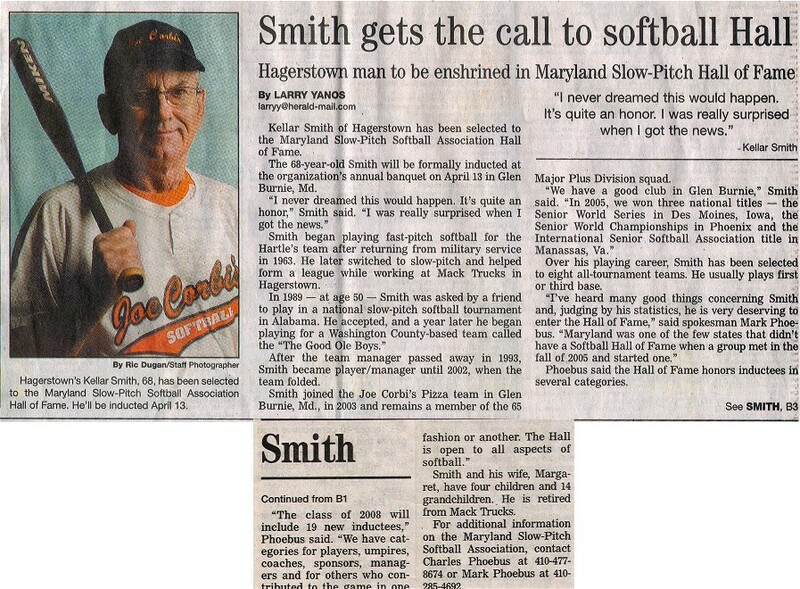 Congratulations to Kellar Smith, SHHS Class of 1957! 5/19: That was one huge and delicious cake! Just enough to feed some old rebels. 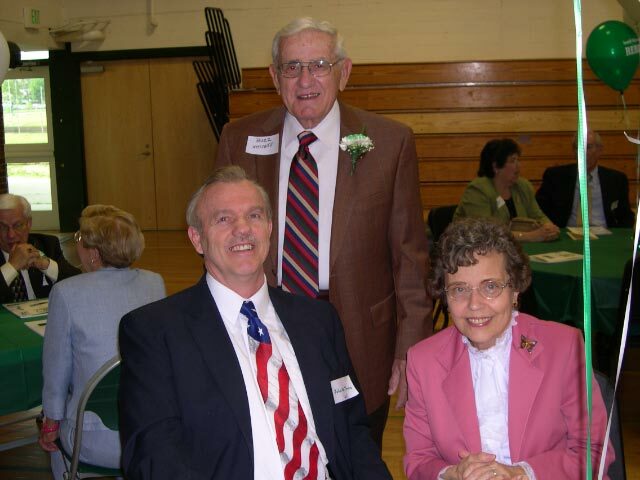 John and Marilyn Toms with former principal, Mr.
Whisner. 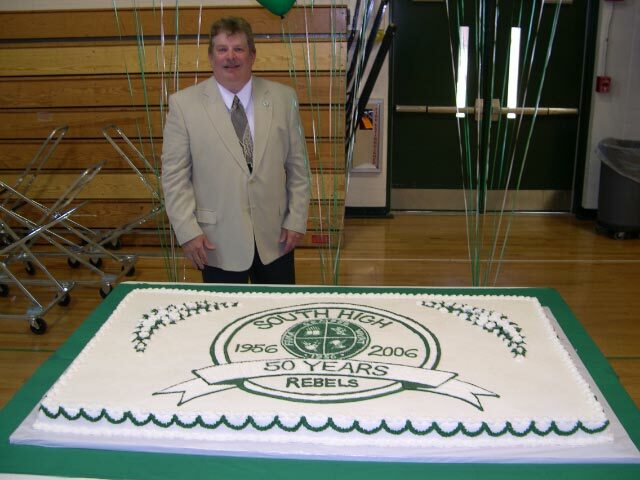 John was a member of the Class of '63. Friends from the Class of '88 enjoying the evening. 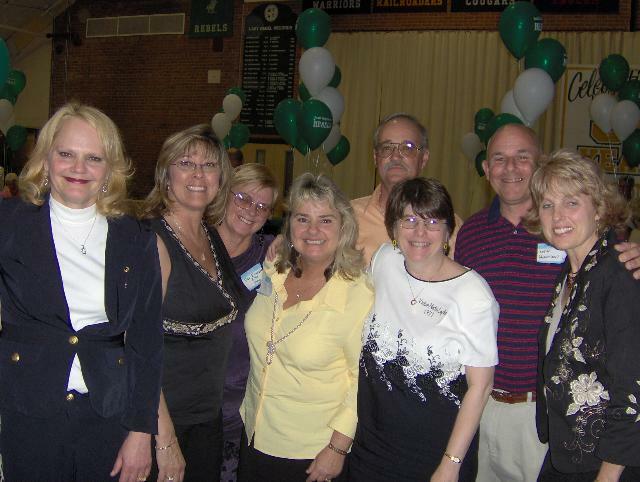 From L to R: Karen Ebersole ('72), Teresa Bowman Hoffman ('71), Patti Ebersole Chu ('70), Vickie Ebersole Lott ('71), Steve Reichard ('71), Vickie Martin Layton ('71), Jeff Harrison ('71), Joannie Rutherford Stremmel. Thanks to Lee Marshall, Class of ‘62, we have the beginnings of a library of past band concerts on CD’s. He has taken the concerts from their original LP’s and had them copied and cleaned up to CD’s. We have them for 1959 thru 62. I am aware that others may have copies of LP’s and tapes from their years in the band. I understand that there are also recordings of The Midnighters. We hope to build a complete library of these past performances and make them available to those who may be interested. We are looking for a local source to make copies of old LP’s and tapes. We are also looking for someone who can copy the CD’s.